The last date to apply for the posts is set till 26th November 2018. The Exam will be conducted on 03rd February 2019 across the country. Check the eligibility, age limit and selection process along with exam pattern below. The examination will be conducted to fill up 418 posts of Commissioned Officers. This number, however, is likely to change. Candidates are hence advised to check the official notification for the final number. Below is the CDS eligibility criteria for all the aspirants of UPSC CDS Exam. 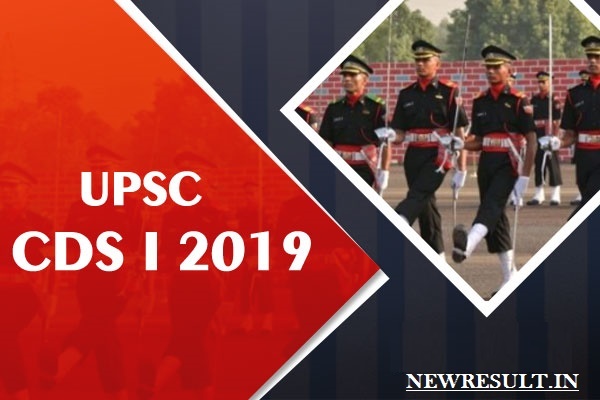 Check the UPSC CDS Exam 2019 Eligibility below before blindly going for registration. A candidate in whose case a certificate of eligibility is necessary, may be admitted to the examination provisionally subject to the necessary certificate being given to him/her by the Govt. before declaration of result by UPSC. Candidates appearing at the degree or equivalent examination are also eligible to compete. Such candidates will be required to submit the proof of passing the requisite qualifying examination by a date to be specified in the Commission’s Notice for the Examination. The admit cards will not be sent by post. Candidates will have to take a print of the admit card and bring it with them at the time of examination. To download the admit card, candidates have to enter details such as RID and date of birth or roll number. Candidates can check the links to get full information regarding the admit card. Candidates are required to apply online only using the link www.upsconline.nic.in click here to apply. The applicants are advised to submit only single application, however if due to any unavoidable situation, if he/she submits another/multiple applications, then he/she must ensure that application with the higher RID (Registration ID) is complete in all respects like applicants’ details, examination centre, photograph, signature, fee etc. The applicants who are submitting multiple applications should note that only the applications with higher RID (Registration ID) shall be entertained by the commission and fee paid against one RID shall not be adjusted against any other RID. Candidates are not required to submit alongwith their applications any certificate in support of their claims regarding age, educational qualifications, SC/ST/OBC and fee remission etc. The e-Admission Certificate will be made available in the UPSC website www.upsc.gov.in for downloading by candidates. No admission certificate will be sent by post. Information in this regard can also be obtained from the Facilitation Counter located in the Commission’s Office either in person or over telephone 011-2338527/011-23381125/011-23098543.